This lightweight Stainless Steel Multi-Bucket System offers maximum flexibility and can be used with two or three 7 gallon (27L) buckets depending upon your in-house protocols. 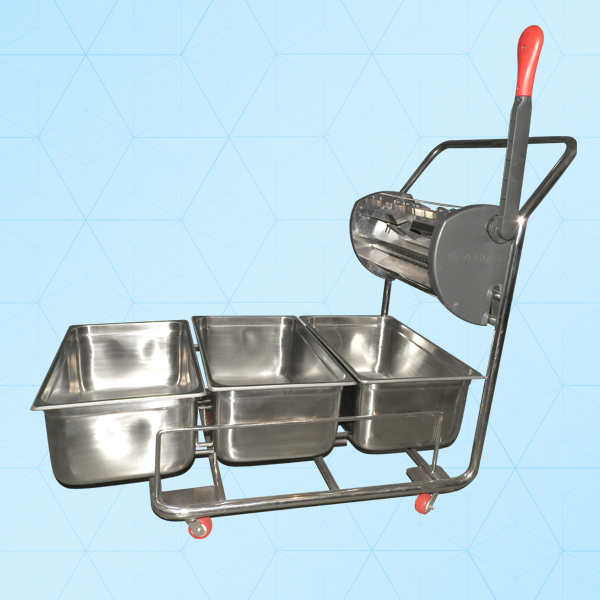 This cart is fully autoclavable & features non-marring wheels. Buckets are deep drawn and seamless. This cart have extra frame designed for holding other cleaning supplies. Ideal for use in Pharmaceuticals, Life Sciences, Biological, Microelectronic or any critical manufacturing environment. Cart dimensions: 26″ long x 24″ wide x 36″ high (66 x 60 x 92cm), with handle and casters.